Under fire for doing precious little in the case of 54 Indian soldiers of 1971 war jailed in Pakistan and those tortured to death during the Kargil battle, the Centre today told the Supreme Court that it could not approach the International Court of Justice as it had itself stopped Islamabad from doing so earlier. 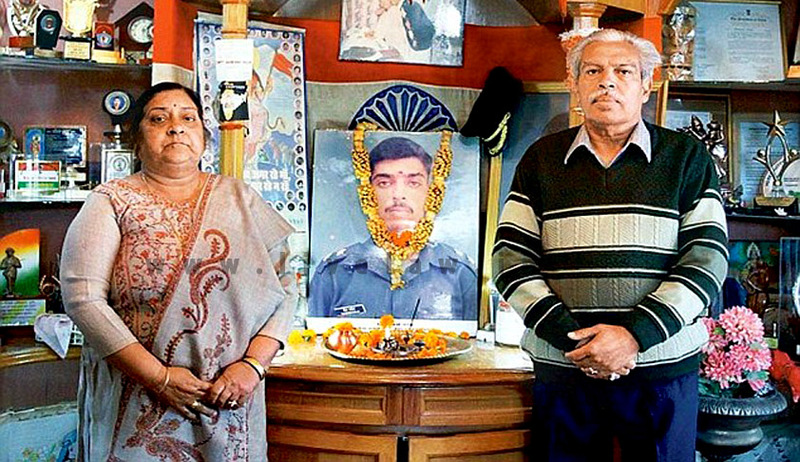 The comments marked a major u-turn on the part of the Central Government whose Foreign Minister Sushma Swaraj had on June 2, 2015 assured that the case of torture and killing of Kargil war hero Saurabh Kalia would be taken to ICJ if Supreme Court permitted as it was an “exceptional circumstance”. Today when the apex court asked “Why don’t you approach the ICJ?”, Government’s Solicitor General Ranjit Kumar repeated the UPA governments stand that as per the Ganeva convention to which India and Pakistan are signatories, issues relating to hostilities and armed conflict cannot be taken to ICJ unilaterally by any one of the country. “We are forbidden from approaching the ICJ. We had stopped Pakistan earlier”, Kumar told the bench headed by justice T S Thakur who retorted “oh so you had blocked Pakistan once and so now you also cannot invoke”. The Solicitor General was apparently referring to the Atlantique case. On August 10, 1999, India shot down an unarmed Pakistani military patrol aircraft carrying 16 young trainee cadets near international border in Kutch (Gujarat). Pakistan took the matter to ICJ and India invoked Ganeva Declaration. The ICJ upheld the Commonwealth reservation and dismissed the case brought by Pakistan against India. Responding to media reports on how government backtracked on its assurance to approach ICJ on Kalia case, Swaraj had said government would amend the affidavit filed in apex court by the UPA government to pave way for approaching the ICJ despite hurdles posed by the Geneva convention. "Till now governments had in mind Commonwealth countries cannot use the clause of compulsory jurisdiction against each other and India and Pakistan are commonwealth countries. That is why we followed UPA government affidavit. But we have rethought about it as Kalia's case is an exceptional circumstance. Government will file an affidavit before apex court file a petition before the ICJ.," she had said. Court is hearing a petition filed by Saurabh's father NK Kalia for a direction to the Centre to approach the ICJ. Kalia, of the 4 Jat Regiment, was the first Indian Army officer to report the incursion by the Pakistan army on Indian soil in Kargil region. He and five soldiers were tortured for weeks before being killed. Their mutilated bodies were handed over to the Indian authorities. The court directed the government to pay the salary and retirement benefits to the dependents of the PoWs, to which the Solicitor General said “this was being done”. Referring to the contents of an affidavit filed by the Defence Ministry, the SG said "As such, the exact status of these 54 missing defense personnel, believed to be in Pakistan jails, is not known. Amongst 54 such personnel, no service details are available with respect of three personnel of the Indian Army." The court said since all of those jailed took part in 1971 war, by now they would have retired and so they were entitled to full salary also with all the benefits. “They are Indian soldiers languishing in Pakistan jails. They had given up their everything for the sake of the country. They can in no way be ignored and deserve all benefits including the salary till their retirement age”, justice Thakur told the SG.